Local soccer phenom Elijah Wynder signed an Academy agreement with Louisville City Football Club. (Pictured L. to R. are his mother, Ranae, Elijah, and his father, Mike, with (second row) Louisville President Brad Estes and head coach John Hackworth. 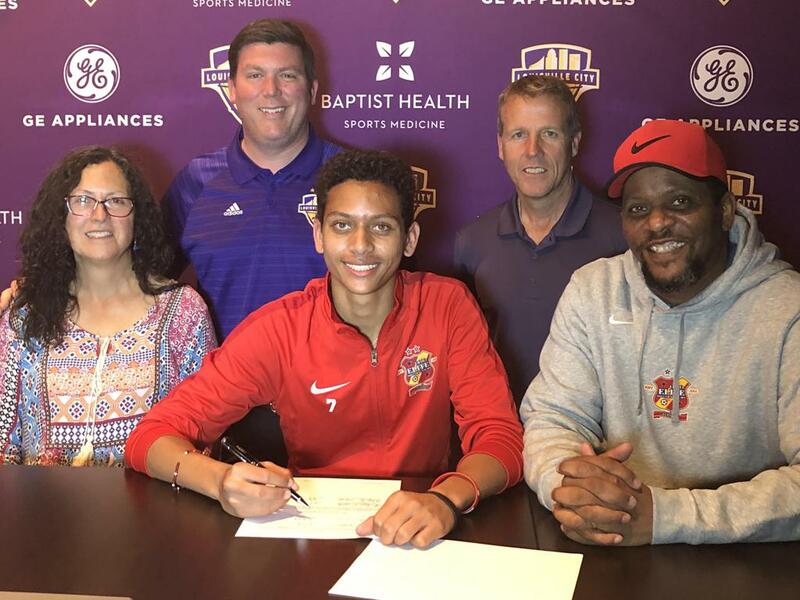 LOUISVILLE – (April 10, 2019) – The Louisville City Football Club is pleased to announce the signing of its first Academy player, Elijah Wynder, of Louisville’s Ohio Elite-KY Academy and Louisville Collegiate School. Wynder, a 16-year-old from Oldham County, has been training with Louisville City alongside several other young local stars for several weeks, including more intensive training during the recent Spring Break. Wynder said the club’s offer to join them as an Academy player was a surprise. Wynder was joined by his family at his signing in the Louisville City FC offices. Pending League & Federation approval, he will be eligible to be added to Louisville’s roster for upcoming USL Championship matches for the remainder of the season. Under the terms of the USL Academy agreement, Wynder retains all amateur status and NCAA eligibility. Wynder will continue with his schoolwork at Louisville Collegiate and continue playing for his club team, Ohio Elite-KY.
Wynder will join Louisville City for its upcoming roadtrip to Tampa for the Tampa Bay Rowdies game. He has been working with the team this week in preparation to make the trip. 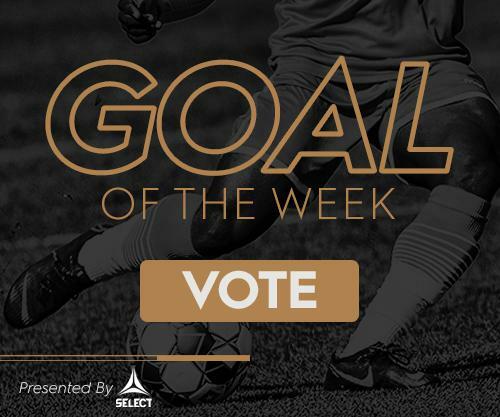 The United Soccer League officially unveiled its vision for the future of the league’s Academy system on March 14, 2019, with the announcement of USL Academy Cup, a new competition set to begin this year that will set the stage for the organization’s first ever Academy League. The newly announced USL Academy Cup will feature top young talent from the U-13 and U-17 age groups, with all clubs tasked with identifying exceptional young players that can play up and be challenged at a higher level throughout the competition. Competitively, the U-17s will compete in two regional qualifiers split geographically between the Eastern and Western Conference. Regional results will determine seeding and placement ahead of the national event, which is set to take place on May 22-25, 2020 at Tournament Sportsplex of Tampa Bay. Regional qualification is set for October 11-14, 2019 and February 14-17, 2020, respectively. The U-13 age group will compete only at the national event, where a champion will be crowned. More information on the USL Academy structure is available at USLSoccer.com.